Today is a great day! Why, you ask? 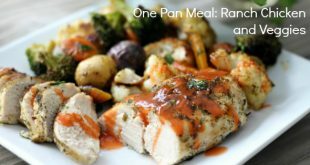 Because I’m giving you one of my very favorite dinner recipes! 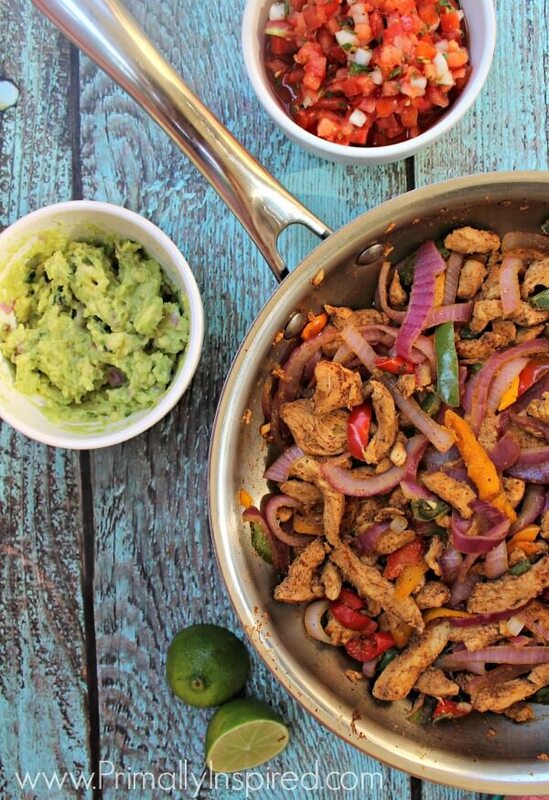 Easy Skillet Chicken Fajitas. 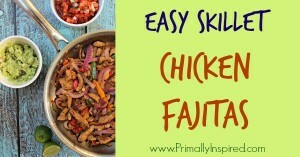 You need this chicken fajitas recipe because it’s delicious, it’s easy, it’s healthy and without counting the marinade time and if you are good with a knife, you can seriously get it on the table in less than 15 minutes. What’s not to love about that?! 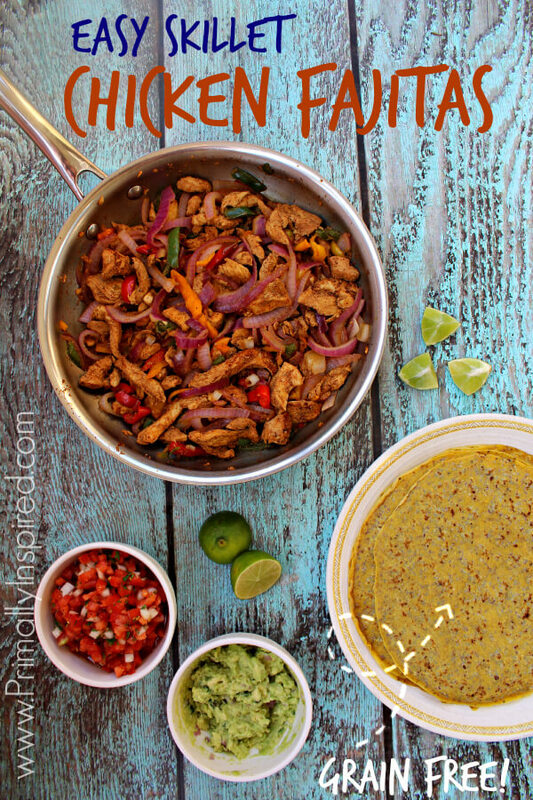 And now that I created my Paleo Tortillas recipe, I am enjoying these fajitas even more. Because I can now eat them with a tortilla!!!! A grain-free tortilla!!! 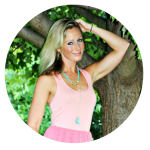 Do you realize how big of a deal that is for this grain-free, Paleo girl? A big, big, BIG deal. I am so obsessed with these tortillas, you guys. 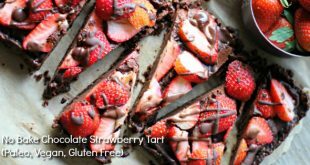 I make a double batch every week and then we use them for breakfast wraps, crispy tortilla pizzas, these fajitas, dessert crepes and more. If you follow me on Instagram (follow me! ), you’ll get to see all my crispy tortilla pizza creations. I just made one today that had ahi tuna and homegrown tomatoes, jalapeños, cilantro, basil and homemade spicy mayo on it. Mmmmm Hmmmmm. I hope you love and use this recipe as much as we do. Enjoy! Combine apple cider vinegar, coconut aminos, garlic, chili powder, onion powder, ground cumin, cayenne pepper, and juice of one lime half. Pour the marinade over the chicken strips and let marinate for at least 30 minutes. I like to make the marinade the night before or morning of and let it marinate in the fridge all day. 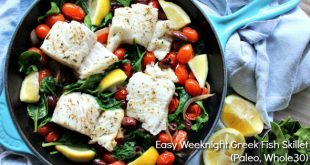 Over medium high heat, heat your cooking fat in a large skillet . Add the marinated chicken strips to the skillet and sauté for 3 minutes. It'll sizzle and smoke! Add the sliced onion and peppers to the skillet and sauté for 3-5 more minutes or until chicken is cooked through. 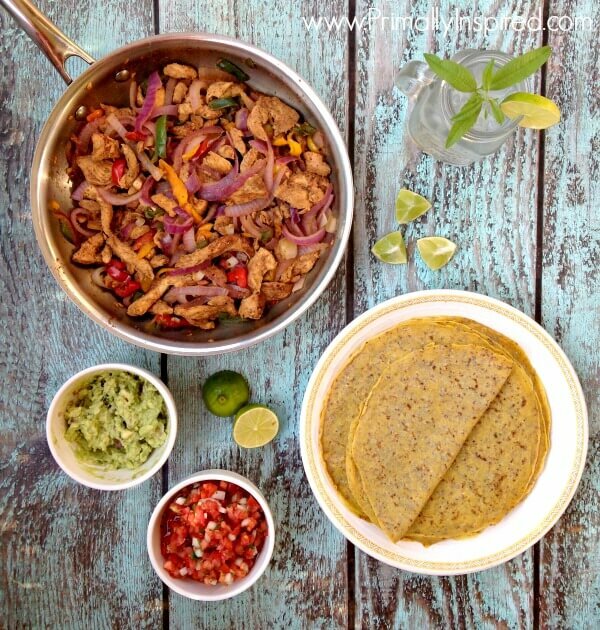 Right before serving, squeeze the other half of the lime all over the skillet and enjoy! 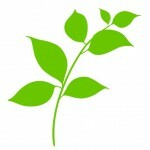 Serve with salsa, guacamole (HERE is my favorite guac recipe! 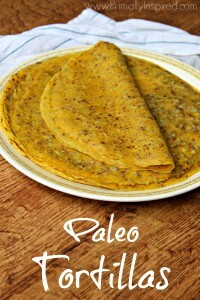 ), homemade Paleo tortillas (recipe HERE). YES! 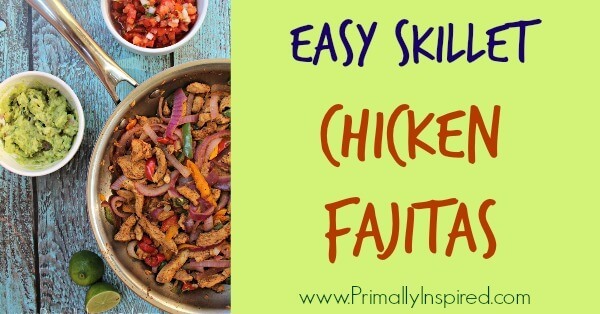 This recipe sounds delish and I have been missing/wanting to make fajitas for a long time 🙂 I can’t wait to try your tortilla recipe, too…I have a feeling my hubby will love me for it! Thanks, Kelly! Hope you guys love ’em Jess! Made this last week, doubled the recipe, gone! Delicious! I used chipotle Chile powder, added a little cilantro too, and 1/2 cup of water to the marinade. I then placed 4 skinless chicken breasts in my crock pot, poor the marinade over them and cooked for 6 hrs. Then put the chicken in my stand up mixer for 20 seconds to shred and added to the peppers with a little of the marinade in the last 2 mins. Man was that delicious with a spicy kick! 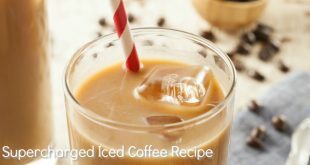 Thank you for this awesome recipe!!! !